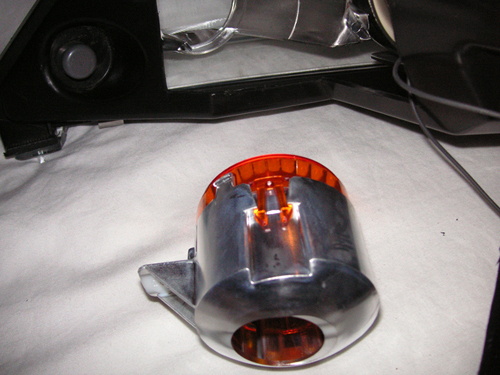 Using a very sharp utility knife, cafefully cut out piece from rear of light (takes about 10-15 mins per light). 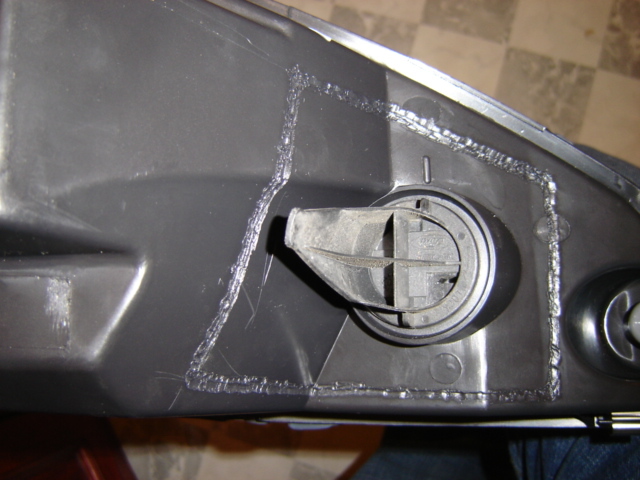 By cutting with a knife instead of a dremel tool, the cut out piece is still a tight fit in the opening, so is therefore easier to glue back in later. 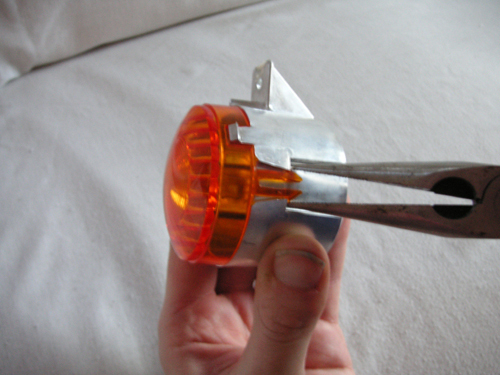 TIP :- After knife has pierced the plastic, rock knife backwards & forwards slowly and it cuts and moves along nicely. 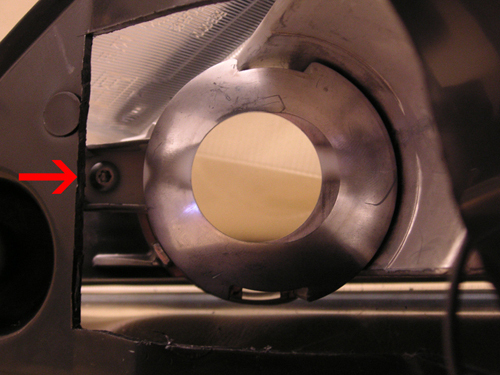 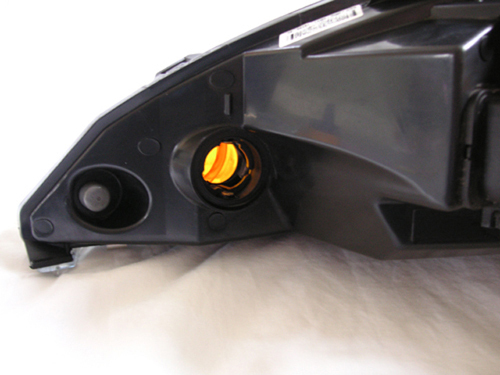 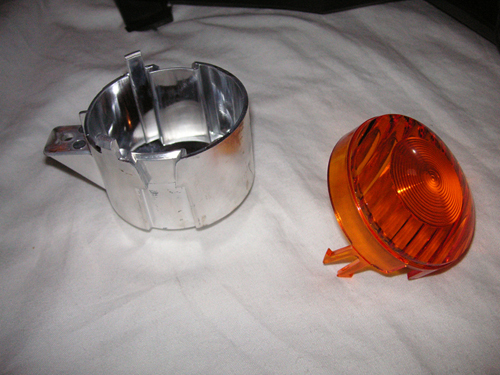 Replace lens holder with new clear lens back into headlamp and insert and tighten the T10 torx screw. 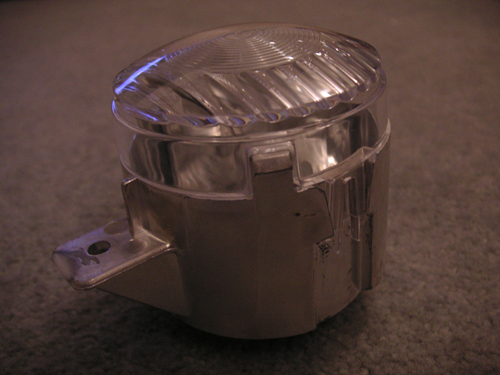 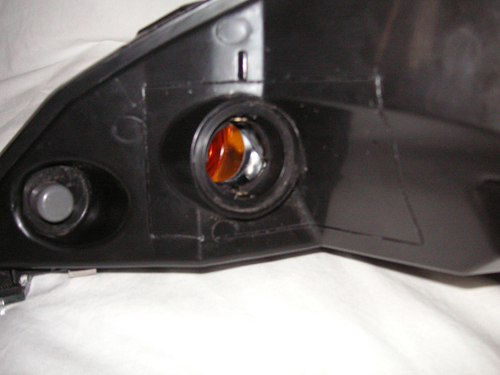 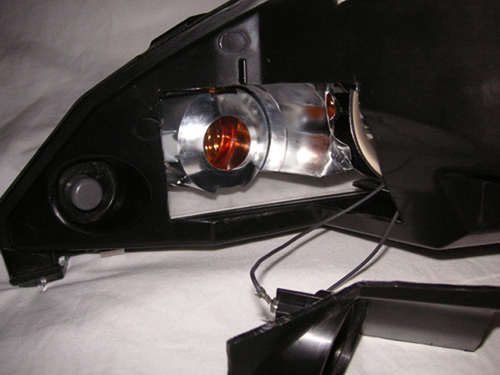 Glue back in the cut out piece from the rear of the headlamp unit using superglue. 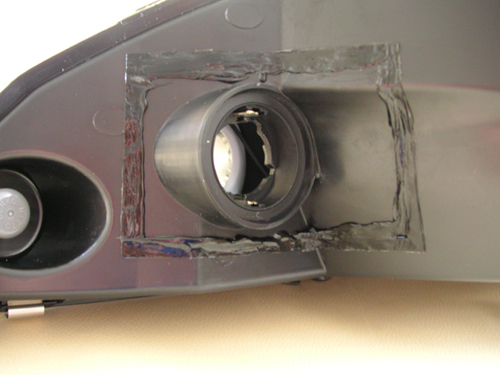 After glue has set, cover join with some silicone sealant to be sure of a water tight seal (black silicone is available from diy stores, to disguise the cut). 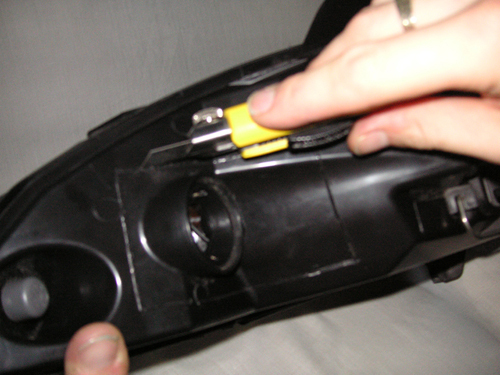 Or another way that some people have used is to use a hot knife (heated on cooker hob) or a soldering iron to melt the cut-out piece back into place.